from The Verge – All Posts. It’s part of a larger pattern of censorship and media coercion in Sri Lanka and abroad. The country has spent years blocking news sites, and it shut down social media briefly in 2018 after mob violence broke out against Muslim minority groups. 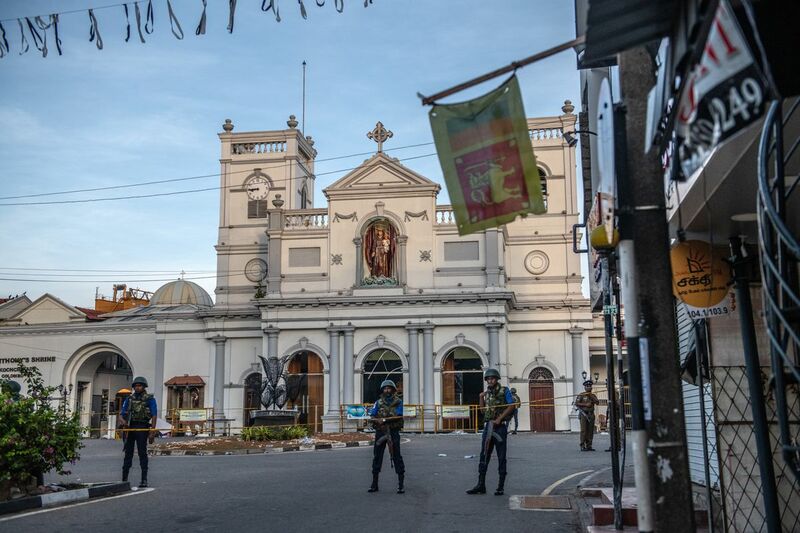 Sri Lanka’s moves against press outlets have been widely condemned, but the social media shutdowns are less controversial. After years of escalating warnings about misinformation running wild on Facebook, shutting the site down in an emergency doesn’t seem so unreasonable. It’s a new understanding of the government’s role online — and for anti-censorship activists, a scary one. Not everyone cheered on the decision, but there’s a clear trend toward emergency limits on the flow of information, which worries many activists. “It’s alarming to see the practice of blocking social media become normalized around the world as a policy tool,” says Adrian Shahbaz, research director for technology and democracy at the nonprofit Freedom House, a US organization that conducts research on political freedom and human rights. Julie Owono, executive director of Internet Without Borders, agrees: “We’re seeing a growing acceptance of broad censorship as a response to hate and misinformation” — whether through full-scale service shutdowns or regulation. Concerns over online misinformation have already made it into law in many countries. Sri Lanka isn’t the only country to block Facebook during a crisis. Facebook’s transparency report shows that other countries like Cameroon, Indonesia, and Iran have seen internet disruptions as well, according to a Facebook transparency report. France, Singapore, and Russia have passed laws designed to curb “fake news” on social media. The UK recently proposed a fine on internet platforms that don’t remove harmful content. And after a mass shooting in Christchurch, New Zealand, the government blocked a handful of sites that hosted video of the attack. Danny O’Brien, international director of the Electronic Frontier Foundation, acknowledges that propaganda and misinformation is amplified by social media’s vast scale. “In terms of the sheer numbers of people involved in that, then it’s definitely a sort of quantitative difference,” he says. At the same time, he notes that hatemongers have always taken advantage of mass communication systems, and repressive governments don’t draw a line between harmful misinformation and legitimate criticism. “The arguments about blocking particular websites or silencing particular voices are always framed in terms of misinformation, counter-terrorism, and protecting the safety of the population,” says O’Brien. Now, governments can make these arguments with less fear of international pushback. More broadly, however, there is overwhelming evidence that social media blackouts can make the situation worse, leading to increased violence in parts of the world that already struggle with limited media freedom and access to non-state-sponsored news and media resources. Rydzak said that last year there were nearly 200 instances of internet shutdowns, primarily in India, and that number has been steadily increasing annually with instances occurring around the world. In March, Rydzak compiled one of the largest reports researching the effects of internet shutdowns and discovered that they do little to extinguish the violence and misinformation that governments use them to combat. Extremist groups often circumvent shutdowns by using VPNs, according to BuzzFeed News, and continue to post the false news. In turn, these shutdowns just leave older people and those who don’t know how to use VPNs in the dark. The Sri Lankan government has a long and tattered history when it comes to press freedom. Journalists have frequently faced intimidation and violence, and the government itself has control of other media resources in the country. Shortly after the Sri Lankan 2015 election of President Maithripala Sirisena, media freedom improved, despite being deeply limited, according to Freedom House. Yet in 2019, Sri Lanka still ranks low on the World Press Freedom Index. According to, Rydzak, a variety of changes need to be made by platforms and governments in order to stop the spread of misinformation in times of crisis. Content moderation is key, and Rydzak cited a decision from Facebook last summer that limited message forwarding on WhatsApp. These forwarding limits stop the spread of false information by limiting the times one person can send off a message. But internet freedom groups believe there’s a solution that doesn’t give governments direct control over the web. Last year, the nonprofit Article 19 proposed an independent “Social Media Council” that would make recommendations to platforms based on a charter of ethics. Owono points to a symposium that Internet Without Borders helped organize last year in Cameroon, bringing together government officials, private companies, and local civil society organizations. False news is difficult to thwart, and experts suggest that one change won’t solve the greater threat at large.“There’s this idea that shut downs are one instrument for interrupting the spread of misinformation, but by cutting off service in such incidents, governments are denying their citizens access to communication tools at a time when they need them most,” Shahbaz said.